A college friend of mine had a baby recently and upon seeing the facebook announcement my thoughts went something like: "Oh how exciting, he's so cute! What can I knit for him? Wait, what's his name? Oh, they chose a good one. ...Baby booties would be adorable, but who actually uses those? I hope he's healthy... Oh, maybe a teensy hat!" Clearly my priorities are a bit muddled but they did result in the cutest thing on this blog yet... or maybe ever in its future existence. The hat itself is a breeze to knit and works up quickly using bulky yarn. The hardest thing is stitching the ears on so they stand out symmetrically and don't flop too much. Since I didn't have a readily available newborn baby, I modeled the hat on a ball of yarn which I approximate to be the size of a baby's head. That ball of yarn gets cuter the longer I stare at that picture. The pattern is available for free after the jump! Cut off your trailing yarn, leaving a 4 inch tail. Thread the yarn tail through the remaining stitches, pull tight, then secure the tail by knotting on the inside of the hat. Cut off your trailing yarn, leaving a 4 inch tail. Thread the yarn tail through the remaining stitches, secure with a knot, and weave in. Stitch the ears onto the sides of the hat. 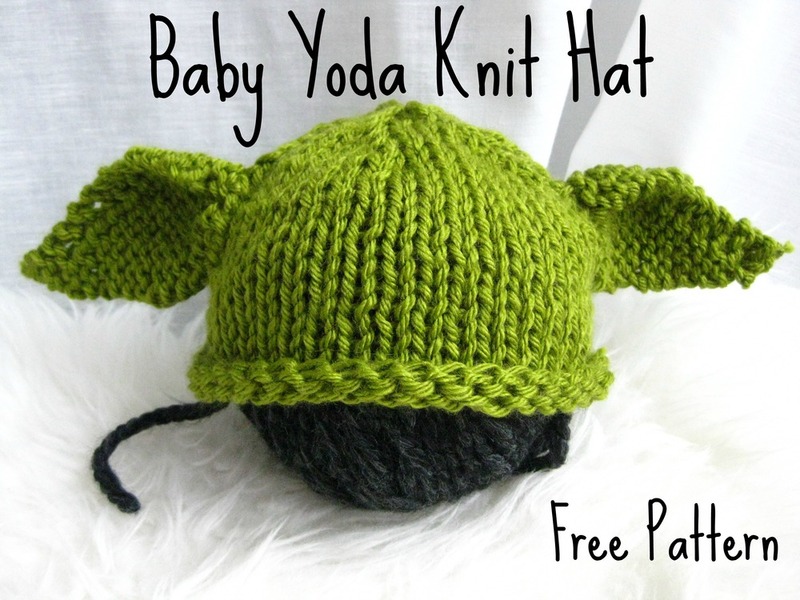 If you fold down the curved portion of the ears and stitch them onto the hat that way, they will be less floppy and have a more authentic Yoda look.